Moving my lexmark p4350 from my older thinkpad w/XP-Pro (where it worked fine for years) to my new thinkpad w/XPPor results in the printer being 'lost' when I restart. The software apparently stays, but the system does not recognize the hardware. I have reloaded the installation multiple times, and have often deleted the old software first. I have temporarily halted my virus protection for installation as suggested, When I reload the software, it then works until the next restart. Any comment or solutions????????? Solution 1: File on the taskbar, Print box will appear. Make sure the "Page Range" is set to all, and not to 1 page. All problems on this page have been submitted and answered by users. 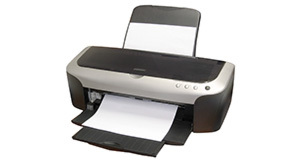 If you have a problem with the Lexmark P4350 , please submit it below and we'll post it here. Problem: Moving my lexmark p4350 from my older thinkpad w/XP-Pro (where it worked fine for years) to my new thinkpad w/XPPor results in the printer being 'lost' when I restart. The software apparently stays, but the system does not recognize the hardware. I have reloaded the installation multiple times, and have often deleted the old software first. I have temporarily halted my virus protection for installation as suggested, When I reload the software, it then works until the next restart. Any comment or solutions???????? ?